Last Friday I headed to my nearest Hair Cuttery salon to get a gloss treatment. I ended up getting the Redken Gloss it Up, which is a clear gloss that makes your hair shiny, renews your color and smoothens your pretty locks! I last got my hair colored in early summer so the color has gotten a little light. 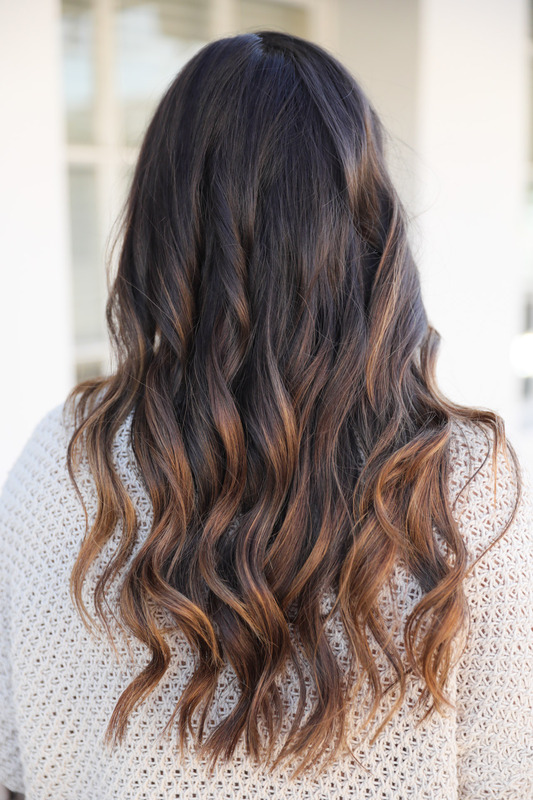 I absolutely love what this gloss did to my hair! First of all, it’s only $50, which is insane because other salons charge so much more. It takes less than an hour to complete and it smells so good! My hair still smells delicious even after a few washes this past week. My hair is also a lot easier to curl and looks better curled than it ever has! Especially going into the holidays, this is a perfect treatment to give your hair more vibrancy and freshen the color. I decided to show off my healthy hair with this outfit that I will definitely be wearing to blog events, holiday parties and more! 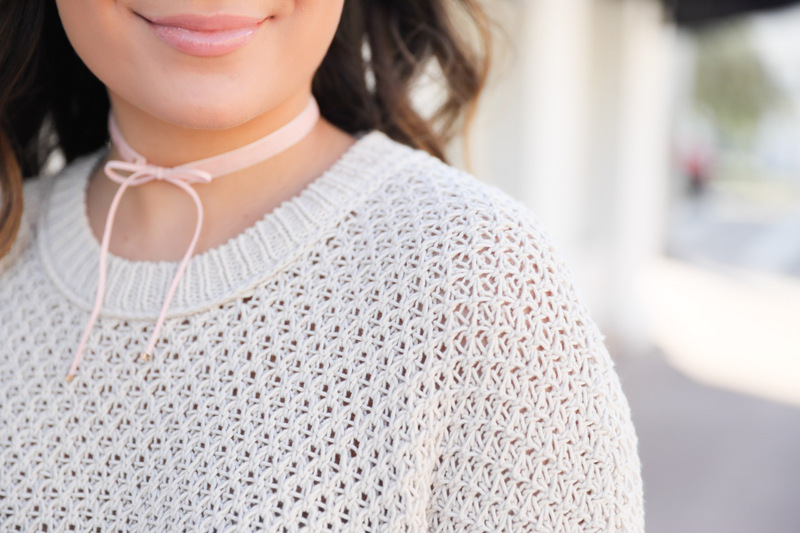 This choker is so perfect for any party look and blush is a huge color this season. 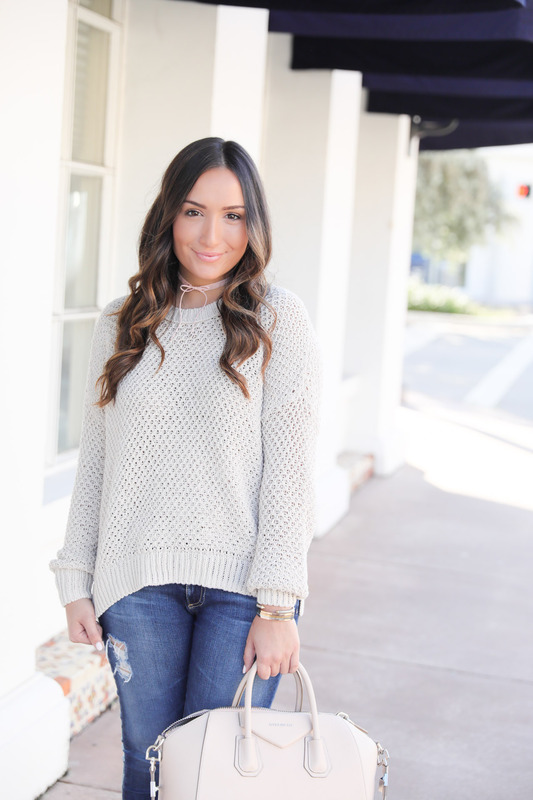 I also absolutely love this sweater and it can be dressed up or down! If you’d like to get a quick and easy hair treatment before we head full force into the holidays, find your nearest Hair Cuttery here. I hope you all have a happy Friday and a great Veteran’s Day! This post was sponsored by Hair Cuttery. As always, all opinions are my own! Thank you for supporting the brands that make TFD possible. Your hair looks so pretty! I also love your outfit! Girl, your hair looks AMAZING!!! 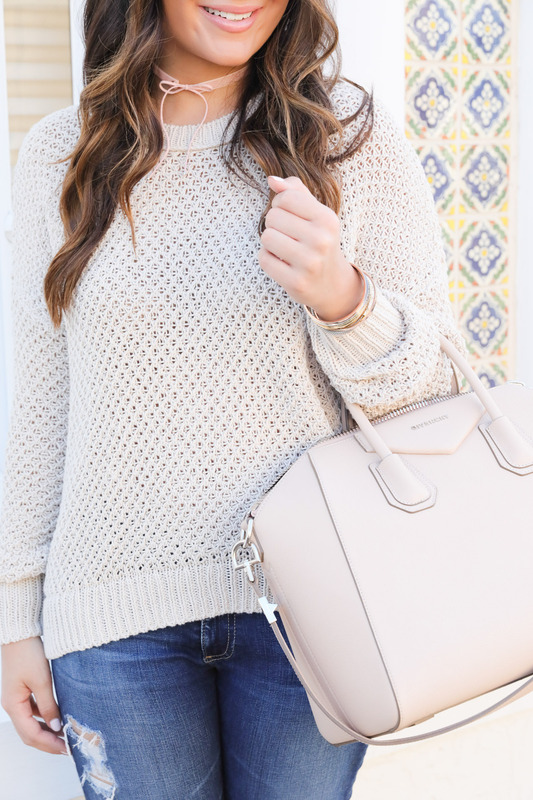 And I’m loving this sweater with the light pink choker! you hair looks fabulous, love a great shine! Your hair is stunning!!! Also, love the color scheme of this outfit beauty! I love this look! So simple and yet so sophisticated. Loving the hair too!!! Your hair so so pretty, and I love that sweater. Girl, this look is so cute! I love the neutral tones, so chic! PS I might have mentioned this already, but your site design is also stunning, I’m obsessed! Love your hair and this whole outfit! So stunning!